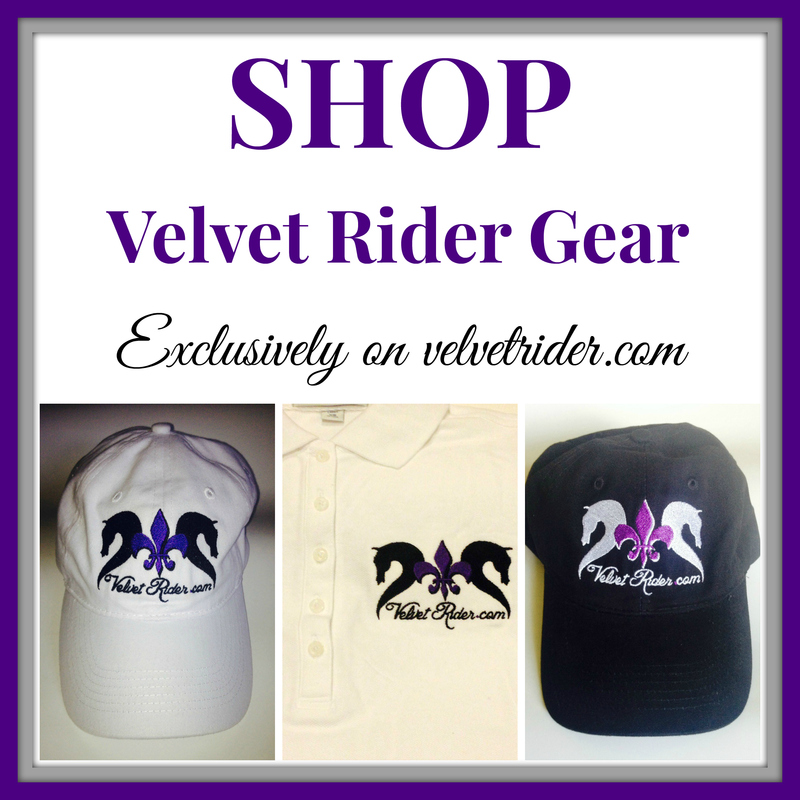 On the third day of Christmas, Velvet Rider brought to me… a prize package from Bridle Bling! 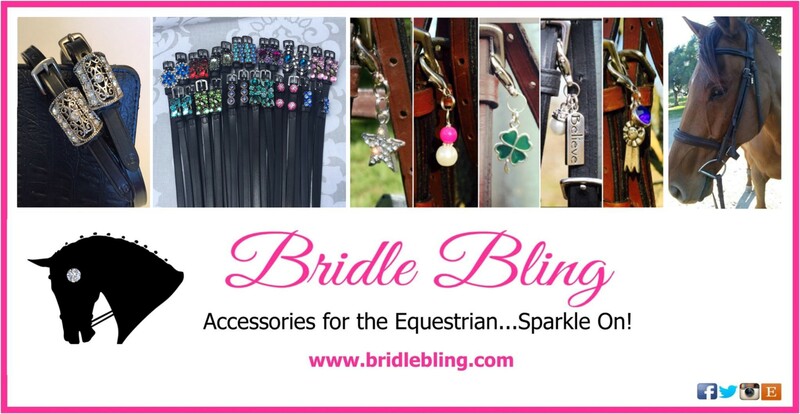 One lucky person will win these fabulous items from the ever fun and stylish Bridle Bling. The prize package includes the Always Dream bridle charm, Going for the Win necklace, Edwina Rhinestone Cluster earrings, and the Isabell bracelet in purple. Bridle Bling offers great gifts and stocking stuffers for the horse lover in your family. 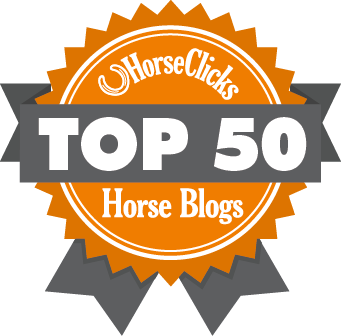 Choose from bridle charms, earrings, embellished spur straps, jewelry and more! 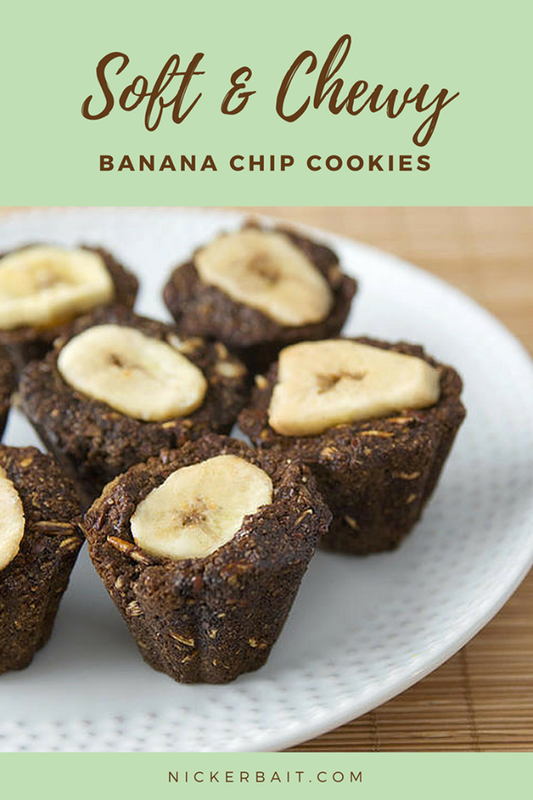 Plus, get 15% off your order with code BRIDLEBLING. Enter below for you chance to win! I don’t have any, definitely need some! My horse and I could totally use a little more bling in our lives! I have no bling on my bridle! New bridle… it could use some BLING! These look so beautiful!!! What another AWESOME giveaway!! I know my mare “Blingh it on” and I would LOVEEEE these!!!!!! I love the Always Dream charm! 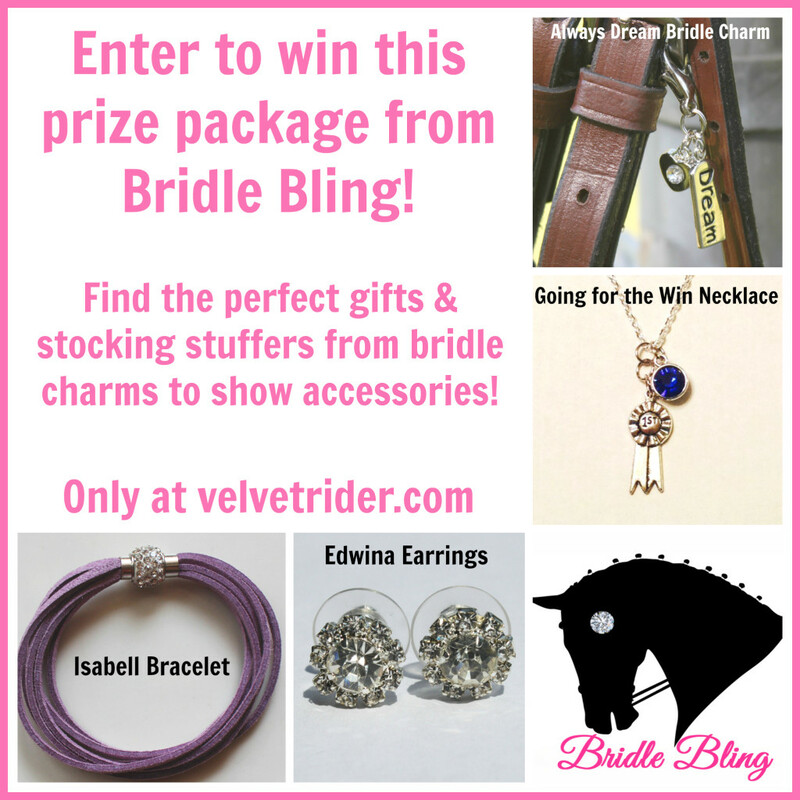 Bridle Bling makes gorgeous products and it would be a dream to win some! always need a little more bling in my life! I think what I like most about BB is that there is something for everyone. Whether it’s something for the horse or the rider, it will be beautiful! I love the way to add some more bling to my tack! Can never have too much Bridle Bling!!! I love all my bridle Bling stuff, you can never have too much!! A girl can never have too much bling in her life! I know a few barn kids that would love these! Bridle Bling seems to have some stylish things! Gorgeous. Thanks for these awesome giveaways and promos! 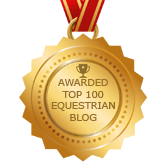 I’d love to win one of these for Dancer’s bridle! So cute! thank you for this opportunity! i would love to have these for my horses! I am in love! The more bling, the better! I love bling so much! There’s never enough!